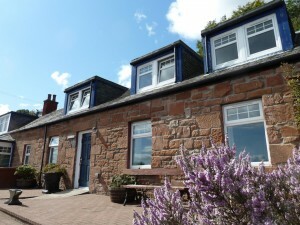 Self-catering accommodation on the beautiful Isle of Arran. 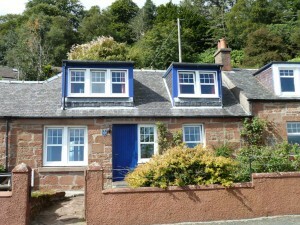 Springtide Cottage (Sleeps 6) – 25th May – 1st June 2019 – Now only £600 for the week! 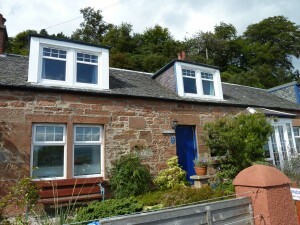 Spindrift, Seawinds and Springtide are traditional red sandstone cottages located in the heart of Corrie village on the beautiful Isle of Arran, Scotland. Panoramic sea views and easy access to Arran’s spectacular countryside make Seawinds Holiday Cottages the perfect choice for a relaxing break on one of Scotland’s loveliest islands. On-street car parking is available in front of all three cottages and we are happy to accommodate well behaved pets. All cottages now with free Wi-Fi. Originally built in the 1890’s as stables and accommodation for grooms at the Corrie Hotel, the cottages have been sympathetically upgraded to provide comfortable, high quality holiday accommodation. The picturesque village of Corrie lies on the coast road, six miles north of the island’s main village, Brodick. The cottages are located in the centre of the conservation area of Corrie, in the Hotel Square.